Fox 3 Gallery is located on the third floor of the Fox Building. Fox 3 Gallery offers 2,610 square feet/261 linear feet and is used exclusively by MICA's graduate programs. Fox 3 Gallery exhibits the work of Graphic Design MFA, Hoffberger, Photography and Electronic Media, MAT, Rinehart School of Sculpture and Mount Royal programs. 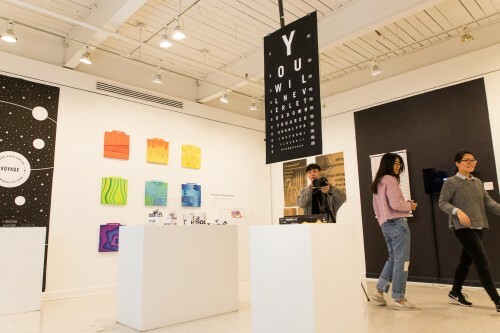 Whether in the fall, as the first exhibition, or in the Spring for their Thesis exhibition, work is exhibited year round.